Pastor John Peter Muhlenberg. 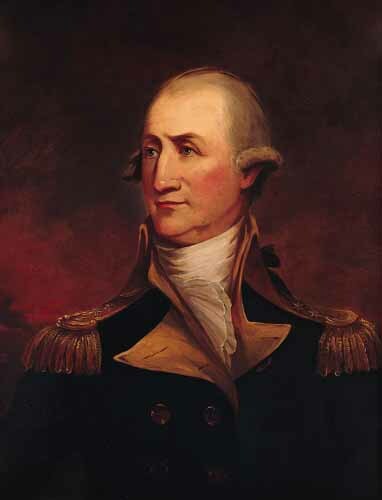 Peter Muhlenberg (1746-1807) was the prime example of a “fighting parson” during the Revolutionary War. Library of Congress. In all of this some would ask, Where is the church in all of this? It should be smack dab in the middle of it but is usually nowhere to be found. When the Revolutionary War began at Lexington Green there were seventy patriots against seven hundred British soldiers. The leader of the patriots was Reverend Jonas Clark who had trained his members for the battle he knew was forthcoming. The next battle was at Concord and the militia leader there was Reverend William Emmerson and the members of his church, who he also had trained. 4 Reverend John Peter Muhlenberg also led what became as the 8th Virginia Regiment. We see nothing of this kind of political involvement from today’s pastors except in rare occasions. Most pastors are too afraid to even preach the Word let alone take a stand for our Constitutional rights. Most pastors won’t educate their flock on the differences of each Party’s platform and how those platforms compare to God’s principles and dictates, which is allowed under present law. They are so afraid of offending anyone. If the pastors of the Revolutionary War were cowards as the pastors are today, we would still be British subjects. Even back in the 1950’s when the Johnson Gag Order came down the church didn’t fight it. Cowards! You either take God’s mandate seriously or go home. When we look at just how involved the church was at our founding in every area of society we can look at the education that was available. For over 200 years we used a simple book called The New England Primer, along with the Bible, and we were putting fourteen-year olds into Princeton and Yale. By 1860 there were 246 colleges in America with the majority run by ministers. Photo: The New England Primer. The pastors of America were more important than any one group of people from the establishing of the Colonies to the developing of our governmental system, education system and defining the moral foundation that all of it was grounded upon and defending it with their very lives. Oh, to have those kinds of pastors today throughout America! We have been at this position for some time, but the church has not had the guts to take a stand against it. Therein lies the problem.